Surveillance can be defined as the constant, secret and sustained watching and tracking of persons, places, objects or vehicles to collect information about the identities or activities of individuals. It is concerned with gathering information for a specific purpose. Technology has become so advanced that even a common burglar can employ basic counter measures surveillance techniques to gain entry into a private residence. Organized criminals like terrorist groups use tactical planning and methods that assure the success of their felonious activities. They are trained to tackle all kinds of situations. They carry sophisticated surveillance equipment that helps them avoid detection. Counter surveillance techniques are intended to combat the harmful impact of surveillance tactics. They are intended to check the spy's access to confidential information at the selection and collection phases. 1. The assailant chooses a possible victim and start gathering information. Surveillance methods also confirm your exact location prior to the ambush. This gives the attacker an element of surprise against you. They have planned the attack such that you are at a disadvantage, vulnerable, unprotected and caught by surprise. The trick to beat them is somehow destroy the source of their surveillance and, with luck, stop the attack before it escalates. Somehow, you have to make them understand what a hard target you are to subdue and that attacking you was a bad idea on their part. The surveillance process may take several weeks or even months. This is the period when spies are at their most vulnerable and can be detected, and you can take measures to feed them false information and draw their attention away from you. - Show the assailant you are suspicious. Keep swiveling your head as if you are trying to spot something or someone. This will give the attacker the impression that you looking directly at them. Keep your head spinning to let them know that you're on to something. The last thing a tracker needs is the feeling their target has cottoned on to them or their vehicle. - The fear of detection may cause your attacker to shift their strategy. They may change their vehicle and move to a different vantage point from where to observe you. - Come up with small tricks to deflect your assailants' attention from you. Pretend to receive calls from important persons, make it seem as if you have friends in high places or that you are not someone to be trifled with. - The hardest part of the surveillance is what is known as the take-away. That's when the victim starts moving to another location. It may happen that the tracker hasn't been paying attention or the ambush plan is still in the development phase. Whatever the case, that is your best time to shake off your attacker, provided you play your cards right. - At the take-away phase, you have a few cards up your sleeve. There are various counter surveillance techniques you can make use of. Take constant turns to confuse the assailants and move quickly to shake them off. Moreover, they don't know your ultimate destination so they will keep a cautious distance as they tail you. This can be used to trick them by misguiding them to a false destination. - Keep changing your routes to reach different places so as to keep your attacker confused about your destination. This makes their tracking job harder. - A great counter surveillance technique is to get to know your area and your usual route well. This will apprise you of possible attack sites, so that you can exercise extra vigilance in these areas or start avoiding them altogether. - There are different tactics to check whether someone is tailing you, but you should take care to be smart about it. Don't be obvious about it. Use your common sense; it will help you come up with useful counter surveillance techniques to ensure your safety. Subtlety is key. The most important thing is to plan a smart way to observe your surroundings without alerting your attacker about the fact that you are aware of them. - Increasing your speed and slowing down, taking 3 right turns, turning at a one-way street, stalling at a green light, coming to a dead halt, these are all examples of counter surveillance techniques that you could use on the road. Be vigilant and keep a close eye on everything that's happening around you and how other people and vehicles respond to your actions. If you're not alert, then it's all just an exercise in futility. - Employing super speed doesn't always mean you'll be successful at shaking off your assailant. So, unless you're under a direct attack, keep driving at a normal speed. Use your counter surveillance techniques to determine whether you're being followed. Otherwise, refrain from foolhardy tricks that could lead to a serious car crash, get you or someone else injured, and set the cops after you. - This is about individual surveillance techniques, which means you are on your own without the luxury of a private investigator to set up an SDR (surveillance detection route) for you. Accordingly, you must arrange it by yourself. - A basic SDR you could use is to follow a residential route you are comfortable and familiar with. A route with sharp and deep turns would work wonders. Once you've set up your route, make sure you have a way to exit the instant an assailant tails you in. make sure you note their facial descriptions or, at least, the vehicle number so you can report them. This counter surveillance technique only works if the attackers do not have a GPS, or if you are more familiar with the area. - Take a good look at people you encounter on your route. Are they there for good reason, or is there something fishy about their presence in that particular area? It takes time and practice to perfect individual counter surveillance techniques, but soon you'll be able to detect a person who doesn't seem to belong. - Do you come across a random person more than once? Does another vehicle take the same route as you every day? While these observations may be chalked up to paranoia, it is always best to prepare oneself for any outcome. You were attentive when leaving your house, but the same s required when you return to your residence. You may successfully have shaken off your assailants during the take-away, but it is likely they have onto your ultimate destination: your workplace. Change your parking spot, and take alternative entrance and exit routes. Try to park in a spot which will be tough for the assailant to detect and keep track of. If your attacker is a single person, he/she will be following you in the same car every day. So if you spot the same vehicle parked near your home as well as your office every single day, it's a major clue that you're being followed. If you're being shadowed by trained attackers, prove to them that you are as in tune with your counter surveillance techniques at work as you were back home. - They might decide to move onto a less suspecting target. - They'll be forced into attacking at sites you are familiar with and where you hold the advantage. - If they decide to attack regardless, you will have a wealth of counter surveillance techniques to put into action. There is a danger that even your practiced strategies may go haywire when confronted with an actual attack, but the tips mentioned here will still help you increase your chances of making it out safely. The important lesson to be learnt here is that you must always find ways to mislead your assailant(s). If you are suspicious that someone is trailing you, apply your own counter surveillance techniques. Pick a different route to and back from work every day. Be on constant alert for suspicious persons, vehicles or activities in the area. If you feel the situation warrants it, involve the authorities. Who knows, you may actually catch the attacker while they are busy with surveillance! 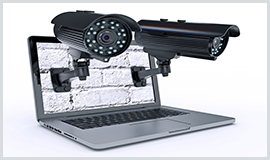 It is highly recommended that you take surveillance classes from a reliable source. Once you gain an understanding of surveillance, you can develop your own counter surveillance techniques to beat an attacker at their own game. The intention of writing this is help you keep yourself and your loved ones safe and protected. The frequency of surprise attacks is increasing is increasing by the day, and the above-mentioned tactics can help you leverage an appropriate defense strategy to ensure your safety. The internet is full of articles detailing different counter surveillance techniques to defeat assailants. Attackers read up on these articles to make sure they are prepared before they ambush the victim; thus, your best bet is to read articles from reputable websites to learn to tackle different situations.